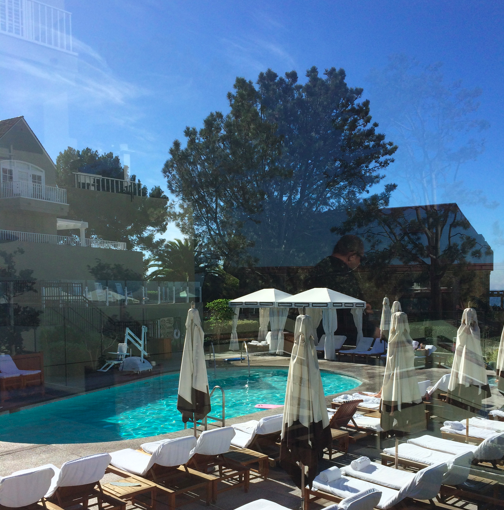 The pool at L’Auberge Del Mar definitely isn’t the main attraction. 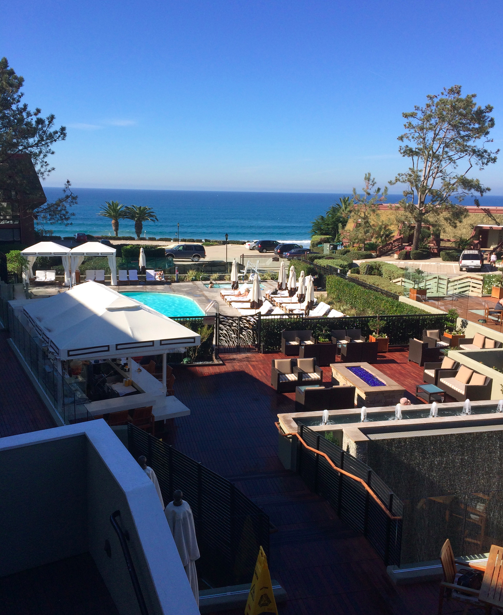 If you’re in Del Mar it’s either for the breathtaking stretch of coastline or, for the race track. Less than a mile from the track, L’Auberge is a cozy and luxurious property–not huge, but with attentive service and a high-end vibe. 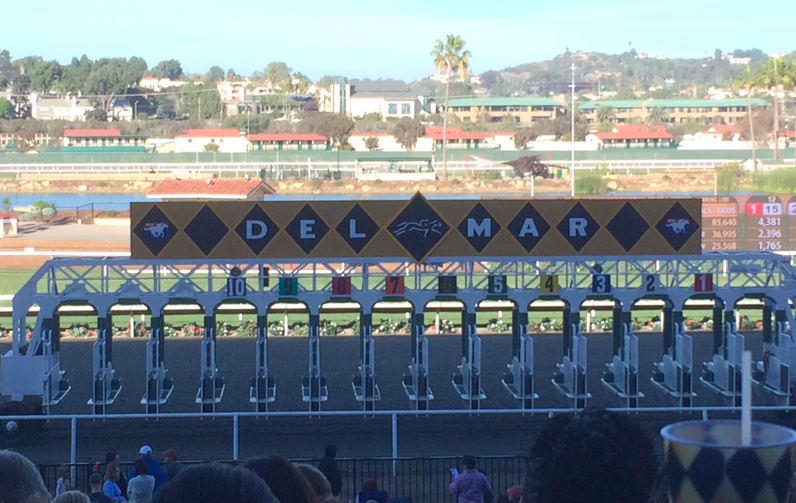 They offer shuttle service to and from the races (and can secure you good seats too) and the village of Del Mar is easy walking distance with shops and restaurants and plenty to see. But if all you want to do is laze by the pool with a racing form it’s not a bad place to spend some time. The pool sits at the center of the resort, so prepare to be seen. There are two cabanas for rent, and plenty of umbrellas if you want to hide out a bit. It’s heated, and when we were there on a very warm November weekend, there were plenty of swimmers and loungers about. This is the hotel pool where you are most likely to meet a jockey, trainer, or high end gambler. Click for more San Diego area hotel pool reviews.